The results are in. 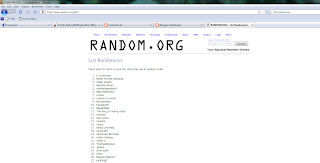 I copied the member list to a text file and used http://random.org to randomize it using atmospheric noise. 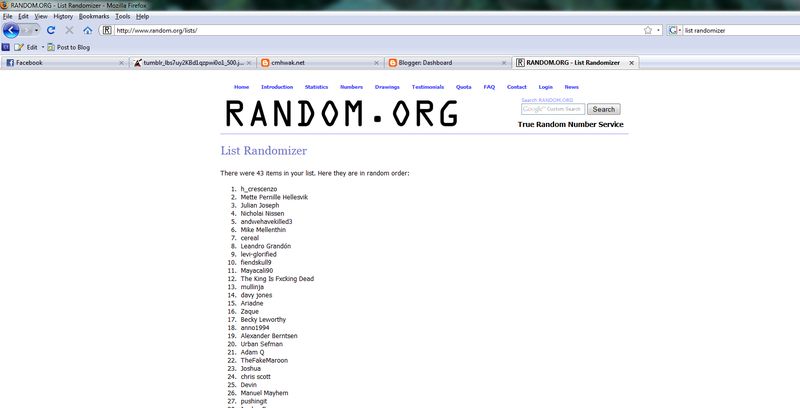 #1 means winner, so that makes the winner user "h_crescenzo". I've sent you a message to get your shipping details, etc. I hope you don't live somewhere crazy because your name makes it sound like you do. But I guess I can't be picky. Everyone else, you can see how close you were to winning in the screenshot. Sorry that it cuts off partway through, I didn't want to bother making multiple screenshots. This contest was fun and I'd love to do more.